Life insurance isn't for you; it's for those you leave behind. Eager Health Life & Annuities will help you determine the best coverage for your situation. 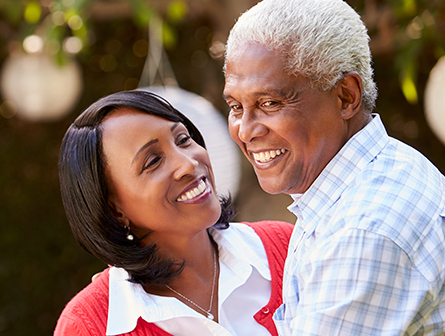 Let us help maintain your family's financial security with options that include term life and whole life insurance in Connecticut. Why is life insurance absolutely fundamental? It is a necessity because life goes on no matter what. Can we make our loved ones rich when we pass? Perhaps. But more importantly and realistically, just like today, the bills keep coming; and without your income, life can be harder. Life insurance will help period. Let us help you put something in place. Yes, you can structure your life insurance to create a stream of income to begin in your middle years or when you retire using top name insurers. We will work with you to explore options and alternatives and help you put a plan in place that is right for you. Whole life insurance covers a person's life usually for as long as they live. It normally will accumulate cash value through the years and, if the person lives long enough, have a cash value equal to or possibly greater than the original face value of the policy. Policies will differ, and like all contracts, will have terms and conditions that must be adhered to in order to achieve the planned results. Term life insurance is life insurance that does not usually accumulate cash value, and is intended to cover an individual's life for a certain period of time or "term", such as 10, 20 or 30 years. When the term is complete the policy is over. Term coverage is usually much less expensive than other types of life insurance but can be too expensive when to renew when the term policy is over. Like whole life, universal generally is for your entire lifespan but it does not usually accumulate cash value. You have some flexibility with a universal life policy in that you are allowed to adjust the timing and amount of your premium as well as the death benefit. Of course, if you pay too little for too long, a U.L. policy will be forced to close. Some whole life and universal life policies can be purchased that pay interest based on the performance of an index such as the S&P 500 or the Dow Jones Industrial Average. These plans generally have a guarantee that if the index is negative that your interest will still be even or positive. Indexed life plans are usually designed to have a dual function and act as life insurance and a savings or investment tool. For more information about our life insurance plans, call or email us.